Meteorsite specializes in geo-specific optimization, from website content to Google Places and Bing Local. 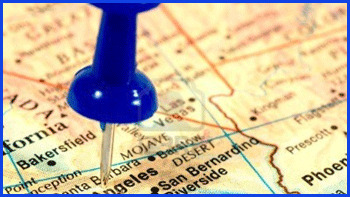 Targeting your SEO for Los Angeles or other cities / regions is an essential step in growing your business. Local business searches account for a large part of traffic for those who operate in a specific geographical area. Though listing is free; just listing your site won't guarantee that you show in the few results that appear on the organic search engine result pages. Whether you are a brick & mortar seeking to drive more foot traffic or a click & mortar seeking both foot and online traffic or an online only business seeking local city, state or even regional traffic then you should invest in Local SEO for Google, Bing and other Search Engines. Ranking for Local Search Engine Results is different than general results as Google attempts to tailor the results to the search and that person's location. They can automatically determine if the term or keyword your looking for is geo-specific. Local Search can provide quality traffic which converts higher and helps to build a company's brand awareness in their local neighborhood. Click on the following links to learn more or contact us by email or telephone at 888-265-6007 for more information.